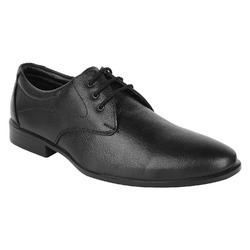 Walk into your office the next time looking elegant wearing these black coloured men’s dress shoes. Experience the blissful comfort as you adorn this pair of formal shoes, which is crafted using Leather Upper and comfortable PU sole. Laser Punches on Leather is used to make this shoe look attractive. Maven Impex are involved in manufacturing and supplying an extensive range of Leather Mens Shoes that is available with superior quality rubber sole or plastic sole. 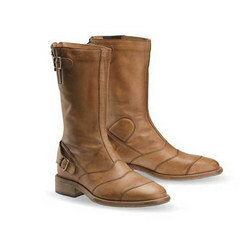 These are fabricated using high class leather that is procured from reliable vendors. Our range of product is available in various stunning designs and patterns. We offer these at affordable prices in the market. Siping shoes are successful in increasing the traction of shoes on a boat surface. We have the Sperry Top Sider Shoe with mid to dark -brown leather uppers and a white rubber sole cut in herringbone pattern. Aimed at prosperous growth in this domain, we are instrumental in manufacturing an excellent quality range of Gents Leather Shoes. We are a top notch supplier of PVC Leather Shoes. LS Shoes Dot Com Pvt. Ltd.